Get flawless skin at any age. Our skin tells the stories of our lives. Our joys and laughter, our pain and heartache… all are etched on our faces. In many ways, our skin is a living scrapbook. Every last laugh line, frown line, and line around the eyes holds a memory. Although we have earned every wrinkle, line, or under-eye circle, we can still yearn for the younger skin of yesteryear. While fine lines and wrinkles are a normal part of aging, there are many options available for those who would like to slow the process. Whether you adhere to the philosophy that true beauty comes from the inside, or you believe that beauty really is skin-deep, there are products to help you find your own fountain of youthful beauty. Few can deny that healthy skin is beautiful, and many supplements promise to restore a radiate glow. The LoveToKnow Skin Care writers strive to help dispel the myths and get to the truth of what supplements really can -- and cannot -- deliver. 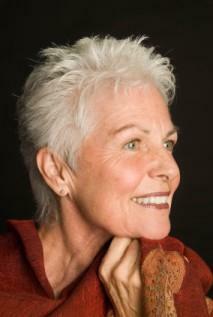 Mature skin has a variety of unique concerns, from increased dryness to the development of age spots. While there are a wide variety of anti aging creams and lotions, all promising to help melt away the years, not every product will work in every situation. Here you'll find objective articles on some of the latest products, along with tried and true anti aging skin care secrets. From crow's feet and puffy eyes to wrinkles and loss of firmness, there are ways to combat signs of aging as well as address the concerns of more mature skin. Whether you are in your 20s or 30s and are just facing the earliest signs of aging, or your face is already showing the signs of many years of laughter and heartache, now is the perfect time to develop an anti aging skin care regimen. The writers and editors of LoveToKnow Skin Care are dedicated to giving you the information you need to stay youthful and vibrant at any age. For more information about the senior years and healthy aging, be sure to visit LTK Seniors.